After two matches being shared among both teams, the actions moves to Centurion as the hosts South Africa will try and get one over the Pakistani ODI team, who have been fairly impressive in the shorter format. While Imam and Hafeez were impressive in the first ODI, an all-round show from Andile Phehlukwayo saw South Africa level the series in-spite of a Shaheen Afridi special. With the series lead on the offer, both teams are expected to put in another good match for the cricketing world to witness. South Africa should be fielding a fairly similar side to the in the second ODI. Shamsi put in a brilliant performance and should retain his position in the team but Dane Paterson had a match to forget and could make way for either of Imran Tahir or Dwaine Pretorius. Possible XI: Amla, Hendricks, Dussen, Faf(C), Miller, Klaasen(WK), Phehlukwayo, Pretorius/Tahir, Rabada, Olivier and Shamsi. After a dismal show from their batting unit, Pakistan would be pondering whether they made a wrong choice of drafting in Hussain Talat instead of an extra bowler. He should make way for either of Imad Wasim or Mohammad Amir. With Hasan Ali doing well with the bat, Amir's inclusion would be more preferred and effective as well. Possible XI: Imam, Zaman, Azam, Hafeez, Malik, Sarfaraz (C&WK), Shadab, Ashraf, Hasan Ali, Amir and Afridi. Wicket-keeper: The return of Quinton de Kock should see him in most fantasy teams. The South African is one of the best openers in the world and should be preferred over Sarfaraz in-spite of his good showing in the second ODI. Batsmen: Babar Azam and Faf du Plessis are yet to put forth their best performances in this series and have looked good in their brief stints at the crease. Both of them, along with Imam and Zaman, are useful options to go for. The highest run-scorer of the series so far, Rassie van der Dussen is also a handy option. All-rounders: Andile Phehlukwayo was brilliant with bat and ball as he put out a career best performance. He should be backed to continue his fine form at Centurion as well. Bowlers: Kagiso Rabada, Dale Steyn, Shadab Khan and Hasan Ali are the preferred set of bowlers. Shaheen Afridi is also an option with the youngster putting forth a brilliant spell of bowling to give Pakistan a glimmer of hope. Captain: Faf du Plessis and Fakhar Zaman are the best options for captain with Babar Azam also among other options. With the Centurion pitch set to be on the slower side, Azam's technique against spin could also come in handy. 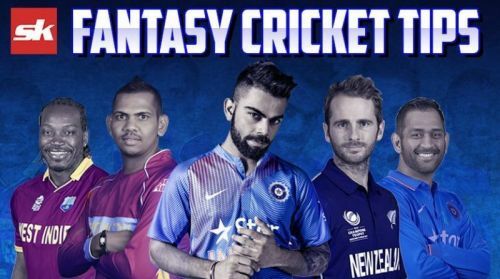 Fantasy Suggestion #1: Quinton de Kock(WK), Faf du Plessis, Babar Azam, Imam-ul-Haq, Fakhar Zaman, Rassie van der Dussen, Andile Phehlukwayo, Kagiso Rabada, Dale Steyn, Shadab Khan and Hasan Ali. Captain: Faf du Plessis.